Social media has fast become one of the most effective ways for a business to engage with customers. The easiest way to master it is to keep things simple and do a small amount and do them well. 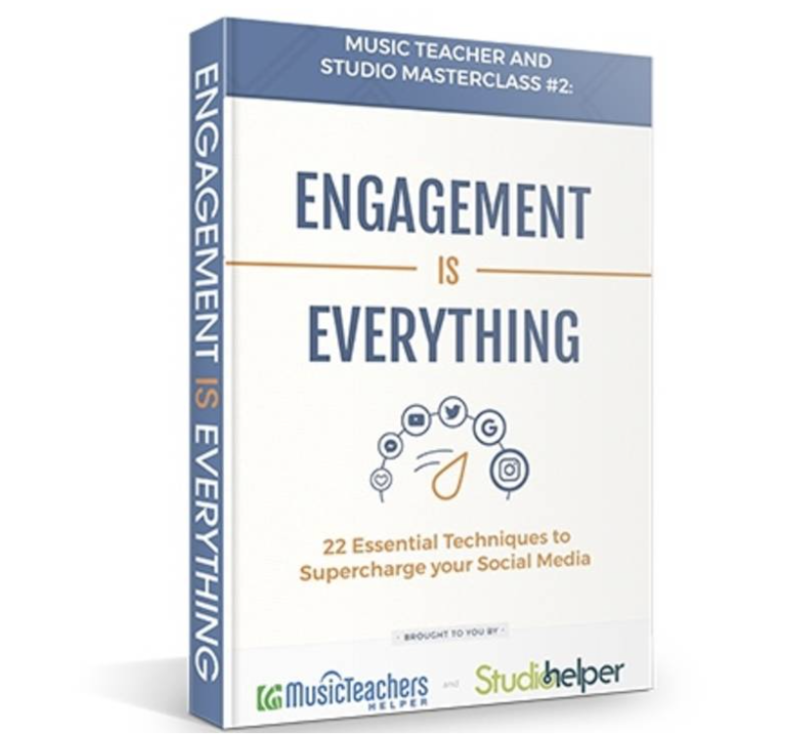 In this ebook Engagement is Everything, learn essential techniques to supercharge your social media as a music teacher. To purchase and access your eguide(s) simply click on the offer you wish to purchase, create an account if you do not already have an account with us (if you do, simply login). Once you have signed in or created your account you will be sent to a thank you page, where you can then click on a link to access your products in your library or via the library button in the top right hand corner of the page navigation. Buy all 6 e-guides and only pay for 4 - giving you a discount of 33%! Learn essential techniques to supercharge your social media as a music teacher. 50% discount: Buy all 6 e-guides and only pay for 3!